Andy C’s career has been nothing short of a phenomenon. An underground icon, he sold out both Wembley Arena in a few days, and a second 13 week residency at one of London’s most iconic contemporary clubs, XOYO, in less than 2 hours. 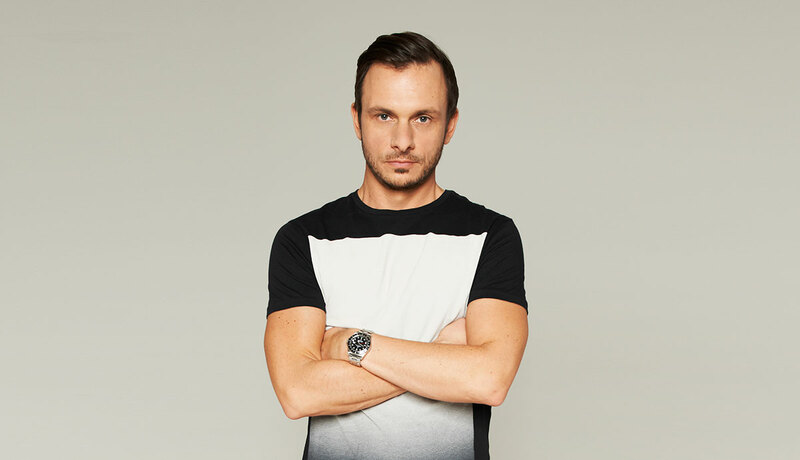 He’s collected over 40 awards to date, with 2018 plaudits including DJ Mag (Best British DJ), DNBA (Best DJ), Top 100 DJs Poll (Highest Drum & Bass DJ), and the Ibiza DJ Awards (Best Bass DJ). Prior to Wembley Arena in November 2018, where Andy’s event was the venue’s first all night licence, he sold out Alexandra Palace and Brixton Academy (twice) with his own solo shows. Still one of the hardest working DJs on the circuit, Andy regularly plays headline slots at the world’s greatest festivals including Creamfields, Glastonbury, EDC, Boomtown, and SW4. He continues to take his genre to new shores across the globe. Outside of DJing, Andy’s released a string of phenomenal crossover anthems such as ‘Heartbeat Loud’ and club records like ‘New Era’. The latest example of the latter is ‘Till Dawn’, a phenomenal non-vocal cut that’s gained praise from Annie Mac at Radio 1, UKF, Mixmag, Resident Advisor, and beyond. ‘Till Dawn’ is the first of several new releases due throughout 2019. A reputation as one of the most significant British artists in global dance music has been hard earned, but it’s hard to place the tipping points. Was it his performance at Radio 1’s Hackney weekend in 2012, where his set was watched online by more people than either Jay Z or Rihanna? When he performed to 85,000 people at Glastonbury in 2013? When he sold out Brixton Academy in 10 minutes 2015, Alexandra Palace in 2016, or Wembley Arena in 2018? A career-long desire to nurture dance music’s roots saw him return to XOYO for a second residency (the first DJ to be asked back) earlier in 2019. The ensuing weeks saw him create a micro-club culture, a temporary weekly home for the genre’s fans from across London, the UK, and internationally, with fans once again travelling from overseas. As ever, he looked back at the scene, bookmarking the run with solo all night sets but in between inviting the cream of the D&B family, old and new. Andy’s fans are used to seeing his travels across the globe on social media, from arriving at a Las Vegas show in a helicopter, to larking about at 4am at a Midlands motorway service station sandwich display on the way back from a show with MC Tonn Piper. But as someone who’s been pretty much constantly on the road for 25 years, he takes his career very seriously. For XOYO, as he does each week, he spent hours at home mixing, practising, and putting together his sets with the care of someone who is as obsessed by the music he plays now as when he cut his teeth in his teens. Andy’s success and status as a festival main stage headliner and DJ who guarantees sell-out roadblocks is driven by a phenomenal work ethic and the kind of tour schedule that makes rock bands look like part-timers. But as the owner and figurehead for Ram Records, Andy’s also nurtured and developed huge headline artists such as Chase & Status, Wilkinson and Sub Focus, turning it into one of the world’s most respected independent operations across recordings and events alike. Summer 2019 festival dates include We Are FSTVL, SW4, Reading & Leeds, Parklife, EDC Las Vegas, and many more.